Are you demonstrating ethical and civic responsibility? Can you give examples of how you have acted with honesty, fairness, and integrity in your experiences at SDSU? If you live in the community, would those who live near you consider you to be a good neighbor? 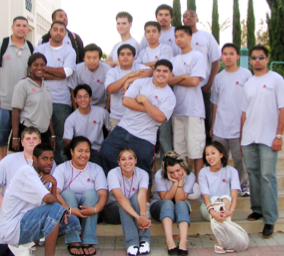 Can you give examples of how your involvement at SDSU or the larger community reflects those values? Have you voted in campus, local, state and national elections? Have you attended lectures and activities on campus that were not a course requirement? Have you read and understood the SDSU Statement of Student Rights and Responsibilities? Can you describe examples of how you demonstrated civic responsibility (e.g., community service, serving on committees, volunteerism)?